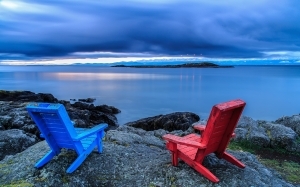 Located in Victoria, British Columbia on beautiful Vancouver Island. 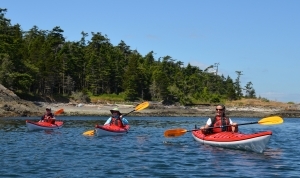 Ocean River Sports is a premier speciality kayak and outdoor gear store with over 35 years in the business. 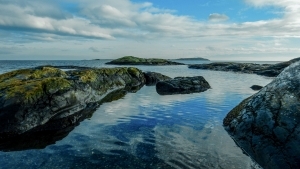 Ocean River includes an outstanding retail store and adventure centre. 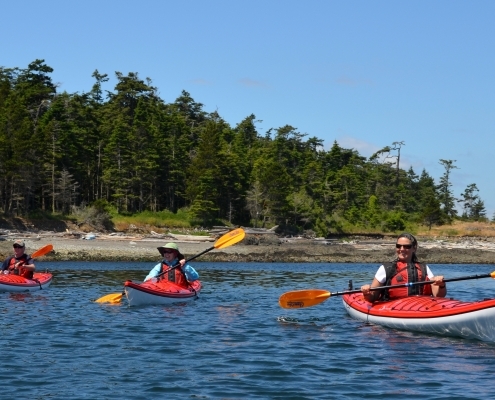 The adventure portion of Ocean River provides a world-class kayaking and stand up paddleboarding school, tours, and rentals from three locations. 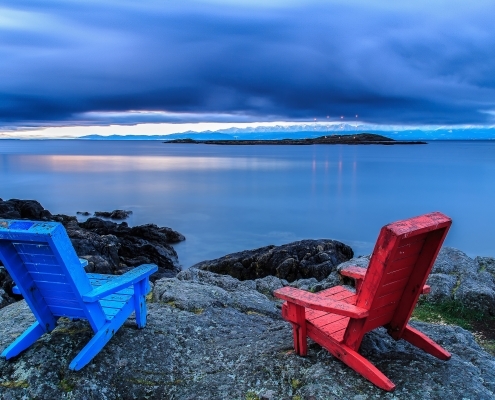 Get out on the water from Downtown Victoria, Oak Bay or Saturna Island. 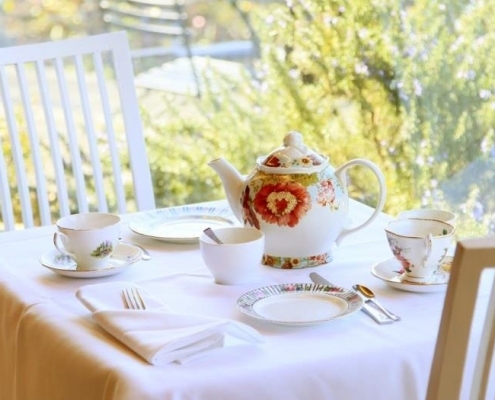 The Teahouse at Abkhazi Garden offers four-star guest service and exceptional food in a beautiful setting, giving guests a memory to cherish. Seasonal menus showcase regional or Abkhazi Garden-grown produce, complementing the garden's appearance when it is in bloom. This garden is a landmark at the corner of Beach Drive and Margate Street, and the landscape is intrinsic in establishing the character of the neighbourhood. 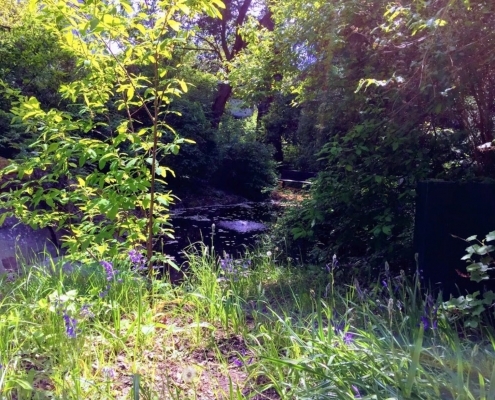 The site is also of great ecological value as a green space and nature reserve. 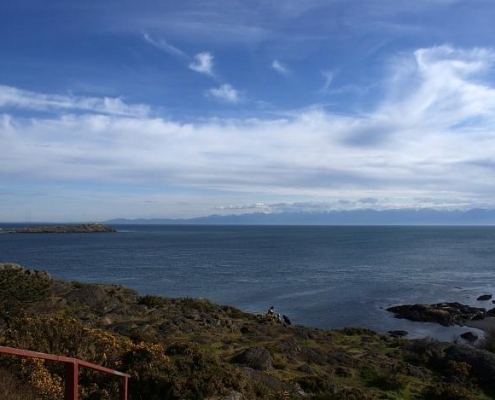 It acts as a preserve for plants indigenous to southern Vancouver Island, many of which are endangered by development. A small developed garden area (.142 hectare) with roses, shrubs, flowers, benches. 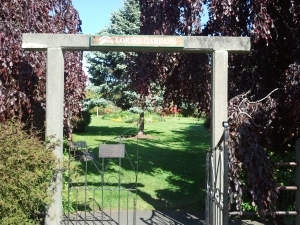 This setting provides passers by the opportunity to sit and enjoy its ornamental garden display. The Park is named for former Hamiota Street resident Thomas Lokier, who built the iron entrance gates and donated funds for many of the initial plantings. 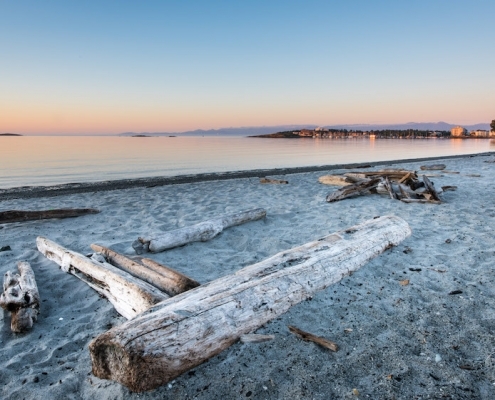 Willows Beach is one of the most popular swimming and beachin' spots in all of Greater Victoria. 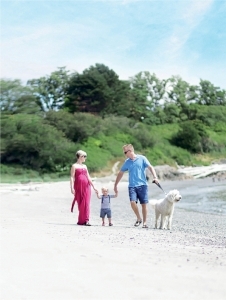 Enjoy long strolls along the sandy shore and wade in the protected waters all year round. Great for kids and families! Find a playground and large grassy park, with washrooms, change rooms, picnic tables, benches, and evening outdoor concerts. 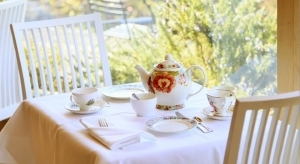 There is a popular concession stand called Willows Tea Room where you can find fries, hot dogs, sandwiches, beverages, ice cream, and of course, poutine! 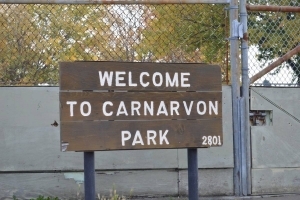 A developed sports park (3.97 hectares), surrounded by residential housing, with playing fields for rugby, soccer, ball diamonds with score/concession building, tennis courts, tennis backboard and lacrosse box, with washrooms and change rooms. A developed multi-sports park area (4.31 hectares) with playing fields, a park pavilion, wheel chair accessible children’s’ play area, rose garden (heritage designation) and accessible scented garden. Windsor Park is an active multi-sport and recreational park where children and adults enjoy the benefits of sport competition for a range of activities including soccer, rugby, cricket, field hockey, tennis, baseball, and softball on safe, well maintained fields and amenities. In addition to its sports focus, the park also provides for more passive enjoyment by visitors with its picnic and play area, sitting areas, Rose and Scented Garden, and indoor meeting rooms in a completely rebuilt building on the original site. This new facility (2006) houses a children’s program room, a main hall, and change rooms all on the first floor. The bright multi purpose rooms on the second floor can be divided into 4 meeting rooms by means of movable walls or used as 2 larger rooms. In addition to municipal recreation programming, the facility is available for rentals by community sports and cultural groups and also for private functions. 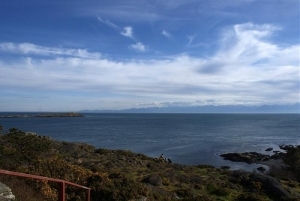 Cattle Point is a part of Uplands Park and runs along the coastline of Oak Bay. 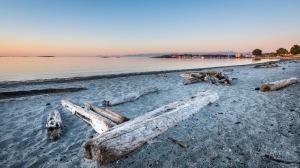 This point gives spectacular vantage points of the beautiful natural area and the Salish Sea. 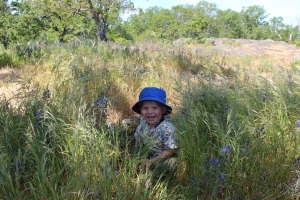 This park is often referred to by locals as “Gonzales Hill." 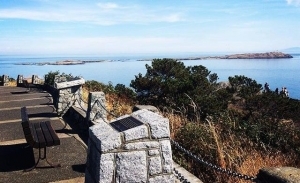 It is accessible from Denison Road with limited roadside parking, with scenic views from a historical WWII lookout and from a historical marker cairn. 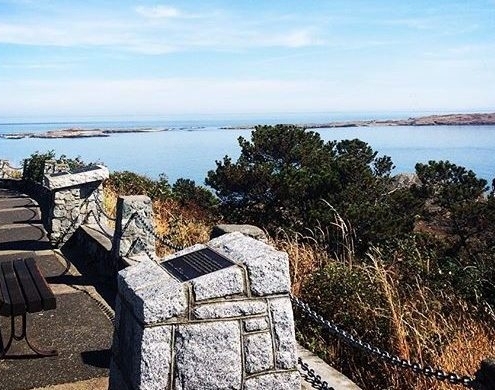 This park provides viewpoints from which to enjoy magnificent views of ocean, mountain, and the surrounding urban and waterfront landscape, as well as opportunity to learn of the historical and conservation significance of the area via historical plaques provided by the Federal Government. An undeveloped natural area (1.4 hectare) with waterfront access, steeply sloping to waterfront with a scenic viewpoint from the parking lot at the top of the hill. Some imperilled plant species and ecosystems are present in the park. 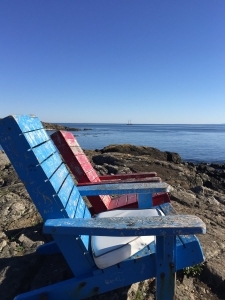 This park provides an easily accessible (from King George Terrace) scenic viewpoint, from which to enjoy beautiful views of the ocean, mountains, and the oceanfront landscapes, with trails across a rugged area sloping steeply to the waterfront and beach access. The park has one of the greatest concentrations of rare plant species in all of Canada. 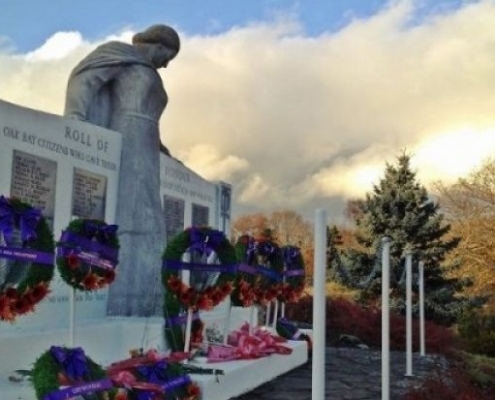 Folks will find well-used, informal trails, and a manicured area with an Oak Bay War Memorial. 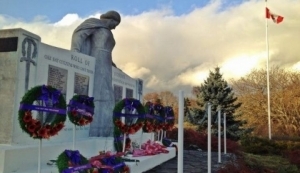 The cemetery lies beside the rocky shore of Harling Point, looking out towards the Olympic Mountains. Simple markers and a ceremonial altar are found among wildflowers in a setting selected according to the ancient concept of feng shui. 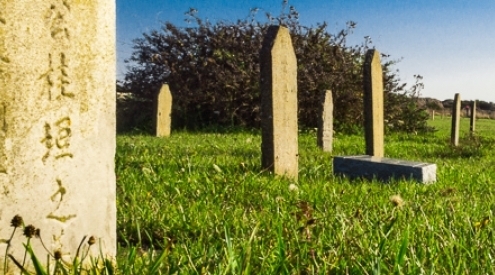 In 1903 the Chinese Consolidated Benevolent Association purchased 3.5 acres of land at Harling Point and established the Chinese Cemetery.